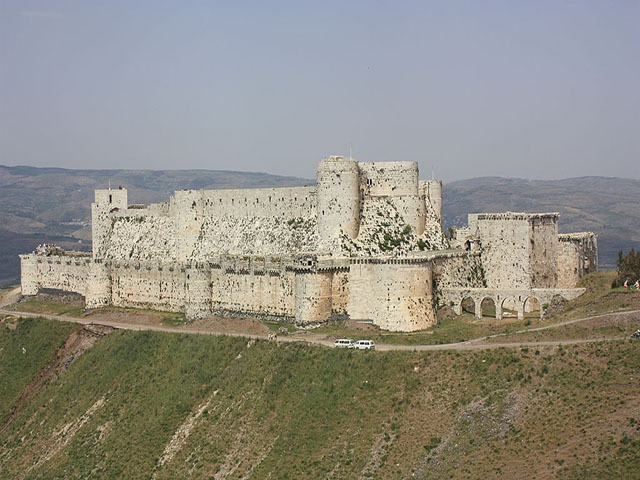 Crac des Chevaliers, also Krak des Chevaliers, Crac de l'Ospital, Castle Alhsn, is a Crusader castle in Syria and one of the most important preserved medieval castles in the world. 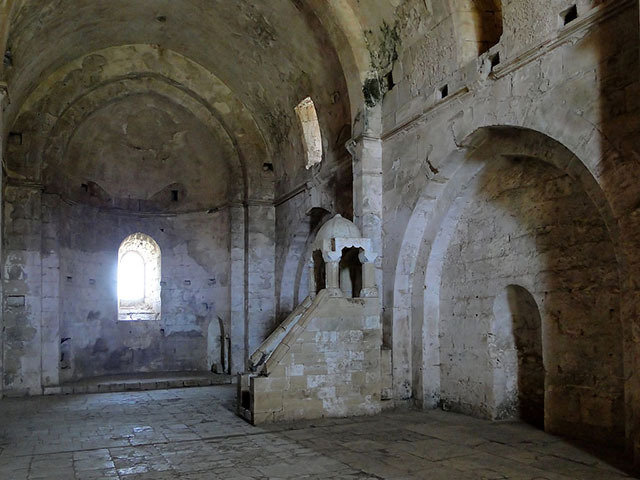 The site was first inhabited in the 11th century by a settlement of Kurdish troops and then rebuilt by the Hospitallers in the 12th century AD. 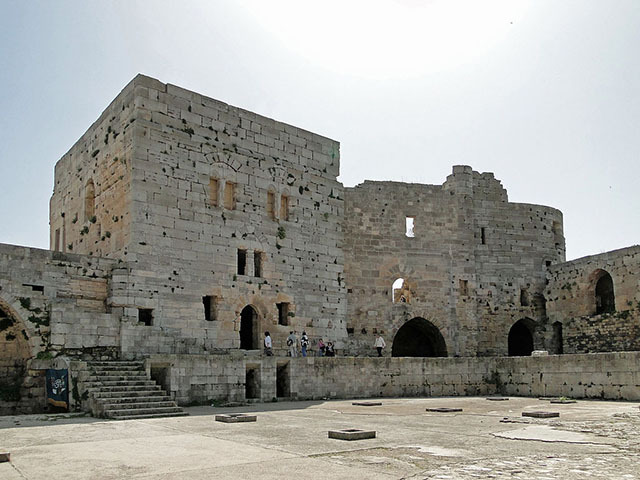 The castle was inscribed as a UNESCO World Heritage Site as part of Crac des Chevaliers and Qal'at Salah El-Din in 2006.